First edition ('Originalausgabe' stated on back cover), first printing. 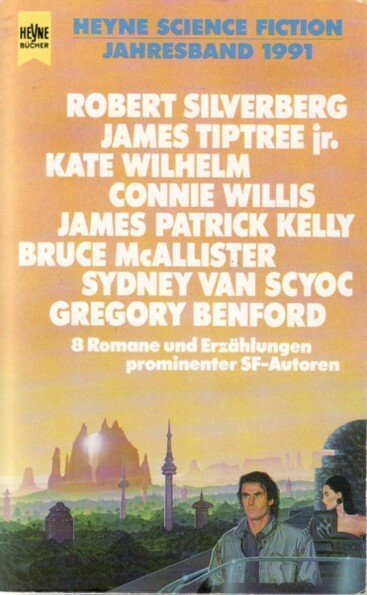 Translations by Irene Bonhorst (Willis, Wilhelm and Tiptree, Jr.), Michael Kubiak (Benford), Yoma Cap (van Scyoc), Michael Windgassen (Kelly), Malte Heim (McAllister) and Ingrid O. Fischer (Silverberg). Cover artist credited on copyright page. Month from 'Science Fiction Media #82' (March 1991).